Stay in the know: Are you able to identify Hepatitis C symptoms and know when is the right time to seek medical attention? Suffering from any disease can be quite scary, especially if you don’t show real symptoms for a long period of time. That is exactly how Hepatitis C symptoms work in many cases, having someone infected and not knowing it for even years. Hepatitis C is a viral infection that causes liver inflammation and that, if untreated, has the possibility of causing severe liver damage. But, how do you get Hep C? The virus of this disease (HCV) spreads through contaminated blood. Sharing needles, using contaminated medical equipment, tattooing equipment, or even from a blood transfusion, are all common ways to get the virus. Hepatitis symptoms though can be quite subtle, which is why this disease is often known as a “silent” infection, and one that can take years to actually be diagnosed. 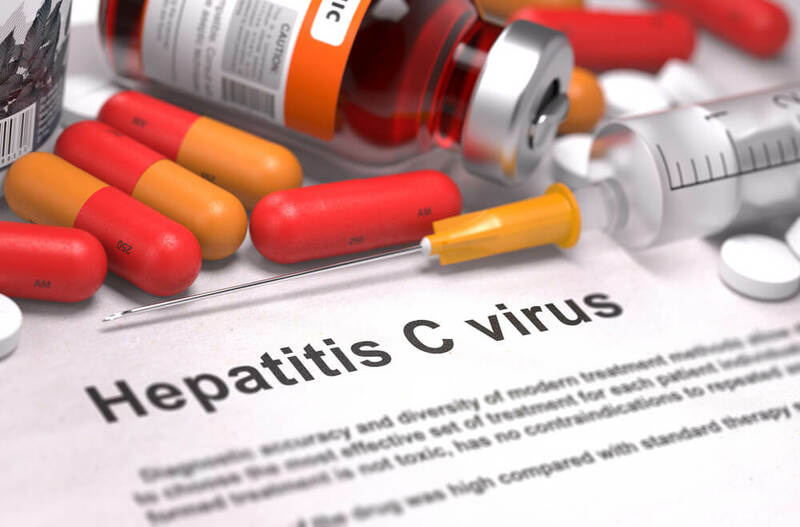 This is because, the hepatitis c symptoms can be easily confused or dismissed as something simple and less threatening. In many instances, a patient won’t feel anything at all until there is actual damage to their liver, and then those symptoms are those related to liver disease. So, how do you get Hep C but, you have absolutely no symptoms at the very beginning? Chronic Hep C usually goes through an acute phase. This period rarely shows any signs or symptoms, and at its strongest point, a patient may only feel slightly achy or nauseated. Clearly, these sensations are not alarming enough to ring all the bells and whistles that something can actually be very wrong, which is why it is estimated that a staggering 85% of patients do not suspect anything until they are seriously ill. If any one or more of these hepatitis symptoms appears it is extremely important to get a full evaluation to dismiss the possibility of having contracted Hep C.
Just until very recently this virus required the administration of weekly doses of strong injections and oral medications in order to control the disease. Thankfully nowadays, a patient can take the medication every 2 or 6 months depending on the severity of the case. Anyone that may be at high risk of contracting the virus can get tested whether or not they have seen some of the hepatitis c symptoms. In fact, health officials recommend that a screening be requested from your Doctor whenever you are having blood work done just as a form of prevention. Liver Biopsy: through ultrasound supervision, this requires the insertion of a small needle through the abdominal wall in order to extract a small sample of liver tissue for further analysis in a laboratory. Magnetic Resonance Elastography (MRE): a non-invasive alternative to the biopsy named above, this test uses a mix of magnetic resonance imaging technology with patterns formed by sound waves that will bounce off the liver to show any possible stiffness. This stiffness indicates the presence of scarring or fibrosis. Transient Elastography: another type of non-invasive treatment, it carries vibrations into the liver and measures the speed of their dispersal through its tissue to estimate possible scarring. The most successful form of treatment these days is using antiviral medication that attack the virus and clear your system from the disease. An ideal and successful treatment is one that shows a clear diagnosis at least 12 weeks after completing treatment, allowing you to return to your normal routine.